← Back in the shop finally! 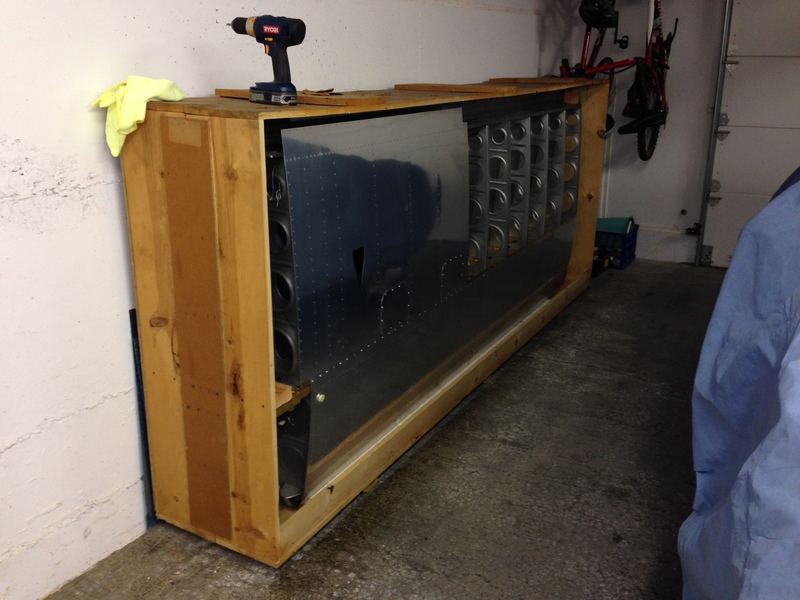 Posted on October 6, 2015	by Ken W.
I purchased a QB wing kit from a guy down in Portland, OR last year. They’ve been sitting in the garage, patiently waiting for me to get my act together and finish the empennage. I found the kit on Barnstormer’s and contacted the seller. The price was pretty good. And, I expect that it will be quite a time savings, not to mention a huge $avings compared to buying a new QB kit. Plus, it gives the feeling of having rescued another derelict from the salvage heap. Quick Build Wings purchased 2nd hand.